Sail Salem is fortunately to host Mr. Jud Smith, of Gloucester, who will be coming with some of his crew to speak about his amazing year as a racing sailor which culminated in his winning of the Rolex Award as the 2018 Yachtsman of the Year. This fun evening will include a recounting of the 2018 J70 World Championship won by Jud, Will, Lucas and Marc. 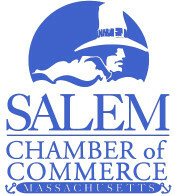 $40 Donation to the Sail Salem Youth Program.